Originally published in 1964, and the winner of the CWA Best Foreign Novel Award, Patricia Highsmith's The Two Faces of January is a chilling tale of suspense, suffused with her trademark slow, creeping unease. In a grubby Athens hotel, Rydal Keener is bored and killing time with petty scams. But when he runs into another American, Chester MacFarland, dragging a man's body down the hotel hall, Rydan impulsively agrees to help, perhaps because Chester looks like his father. Then Rydal meets Collete, Chester's younger wife, and captivated, becomes entangled in their sordid lives, as the drama marches to a shocking climax at the ruins of the labyrinth at Knossos. 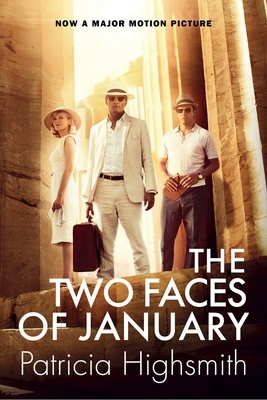 A film version of The Two Faces of January, starring Viggo Mortensen, Kirsten Dunst, and Oscar Isaac (Drive, Inside Llewelyn Davis) is in production. Adapted by Academy Award nominee Hossein Amini (Drive), and produced by Working Title and Timnick Films (The Talented Mr. Ripley), it will be released later this fall.